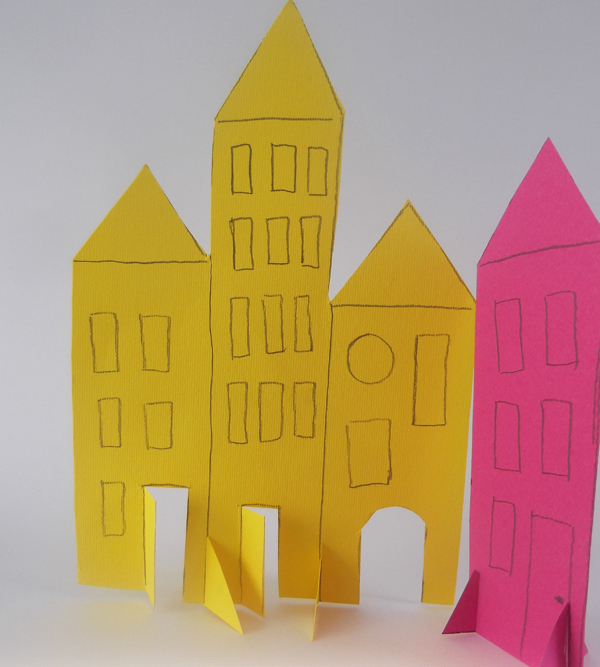 Make a colorful two dimensional city scape, maybe a theatrical scenery. 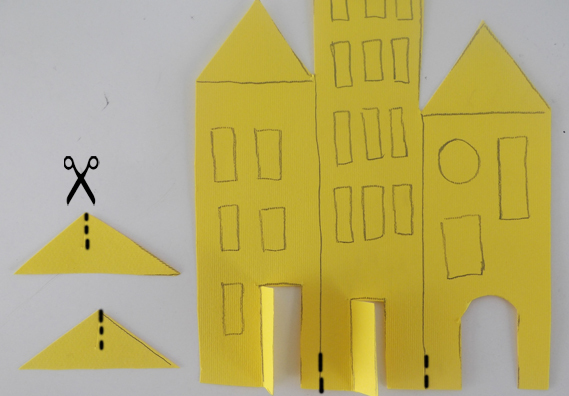 Before you start drawing and cutting papers, think the type of city that you would like to recreate. 1. 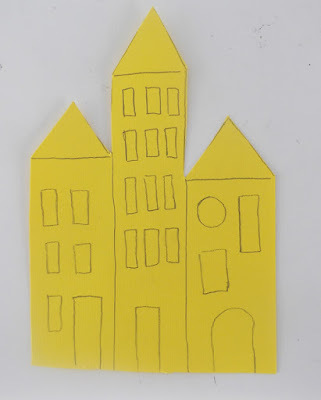 Take a rectangular piece of heavy colored paper and draw the outline of one or more buildings. 2. Cut with scissors along the lines. Don't throw the small pieces. We are going to need them later. 3. 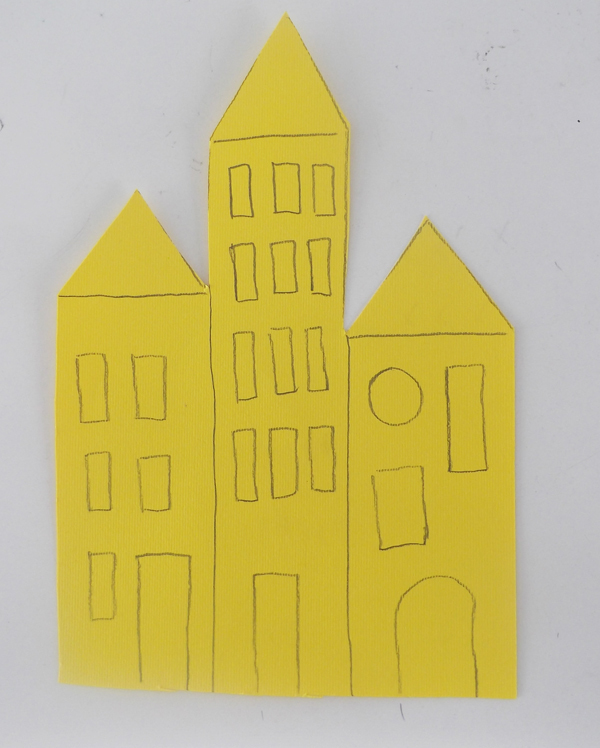 Add architectural elements like bricks, windows, doors, roof tiles, balconies etc. Look around the city view to draw inspiration. 4. 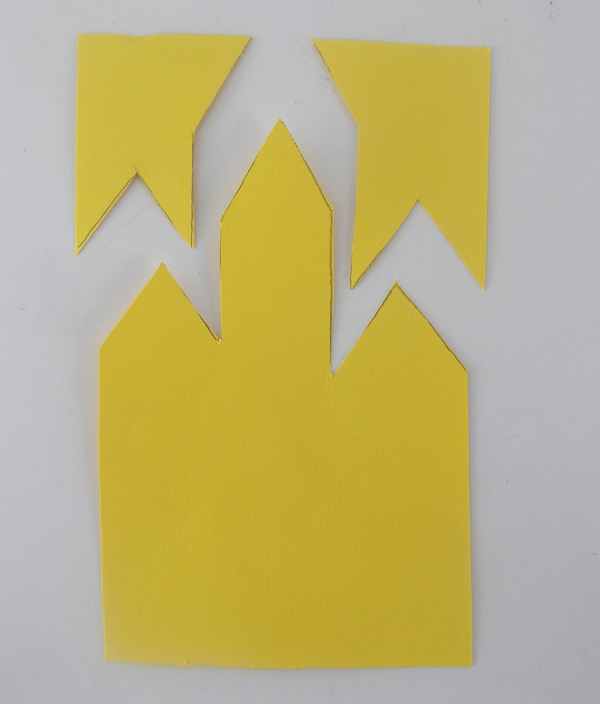 Cut two small triangles out of the previous leftover pieces. 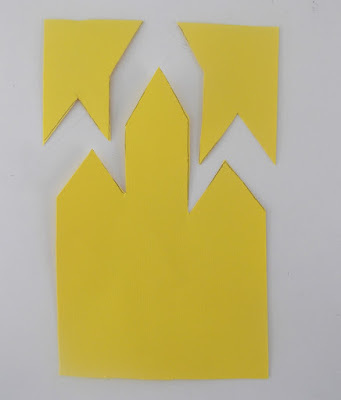 With scissors make small slits as shown in the image below. 5. 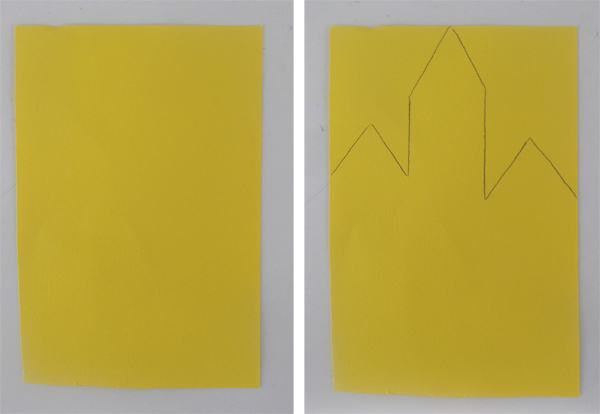 Assemble the triangles and the 2d building together (slide each slit inside the other slit). 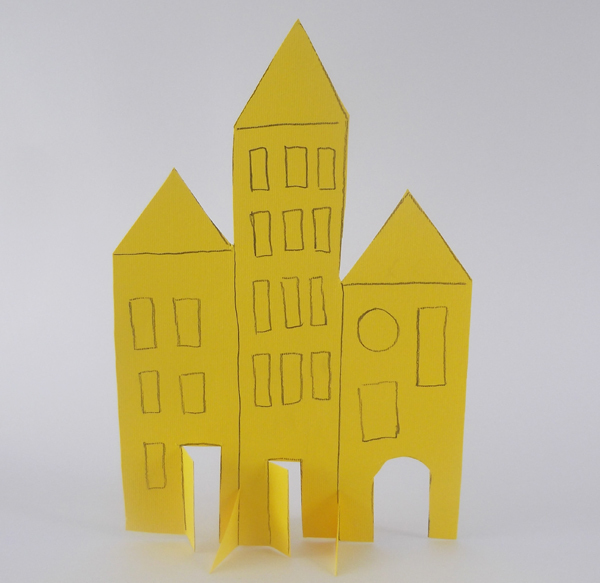 By this you convert a two dimensional piece of paper into free standing construction. 6. 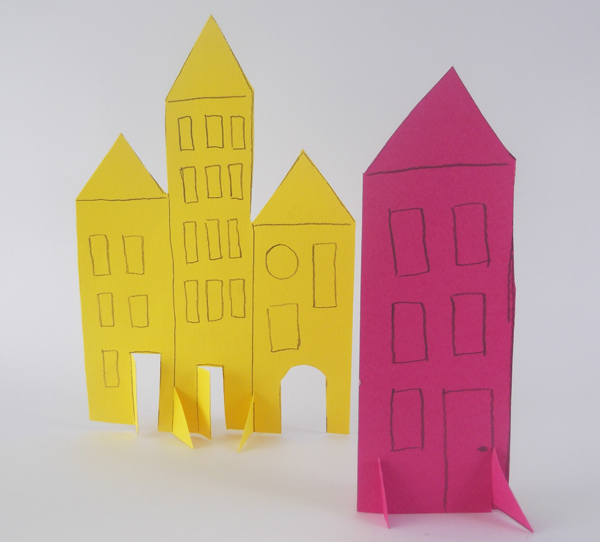 Make more buildings to create the paper city scenery. 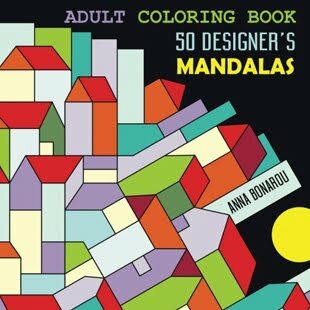 Recommended Educational books that introduce art into children's lives.